The BQ20Z70 SBS-compliant gas gauge IC, incorporating patented Impedance Track? technology, is designed for battery-pack or in-system installation. The BQ20Z70 measures and maintains an accurate record of available charge in Li-ion or Li-polymer batteries using its integrated high-performance Analog peripherals. The BQ20Z70 monitors capacity change, battery impedance, open-circuit voltage, and other critical parameters of the battery pack, and reports the information to the system host controller over a serial-communication bus. It is designed to work with the BQ29330 Analog front-end (AFE) protection IC to maximize functionality and safety, and minimize component count and cost in smart battery circuits. The Impedance Track technology continuously analyzes the battery impedance, resulting in superior gas-gauging accuracy. This enables remaining capacity to be calculated with discharge rate, temperature, and cell aging all accounted for during each stage of every cycle. 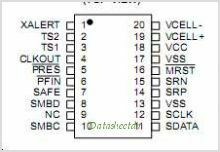 This is one package pinout of BQ20Z70,If you need more pinouts please download BQ20Z70's pdf datasheet. 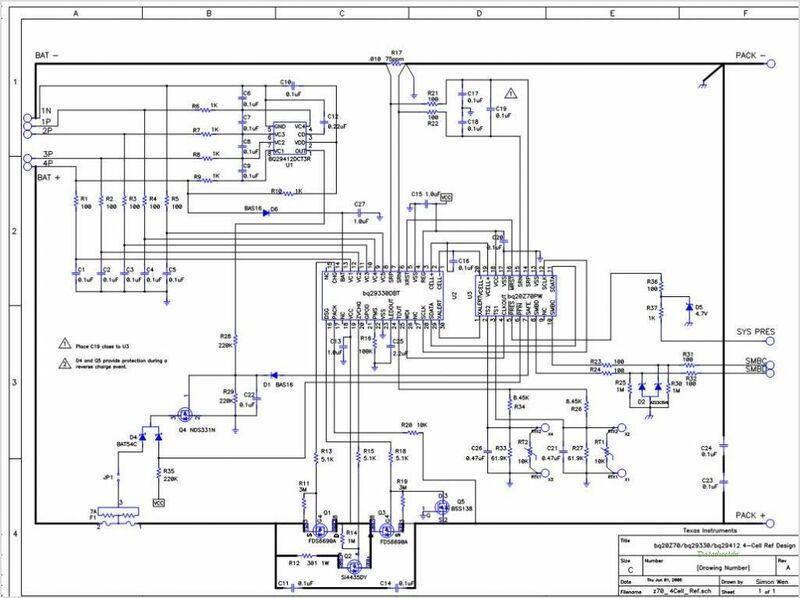 This is one application circuit of BQ20Z70,If you need more circuits,please download BQ20Z70's pdf datasheet.